After a complete time of silence of this website we are now going to try to keep it up to date! As Glenn’s latest post says it’s now time to talk about an even busier summer. This year Glenn saw his summer travels extended over June-July and August. 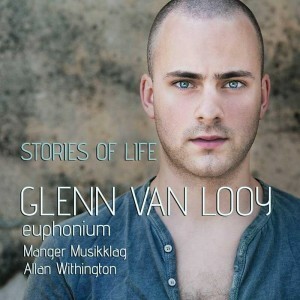 As you can see on Glenn’s social media he is starting to conduct more and more. 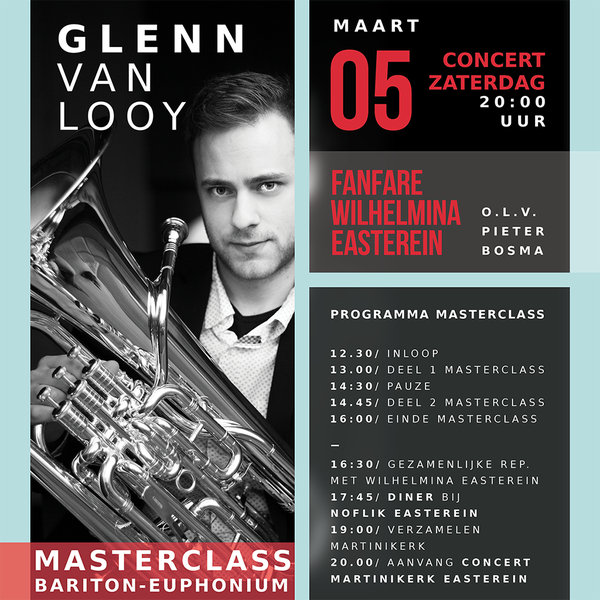 Besides still having lessons from his mentor David King, Glenn is always looking to improve so he attended the Allan Withington Conducting Summer School in Leeuwarden. 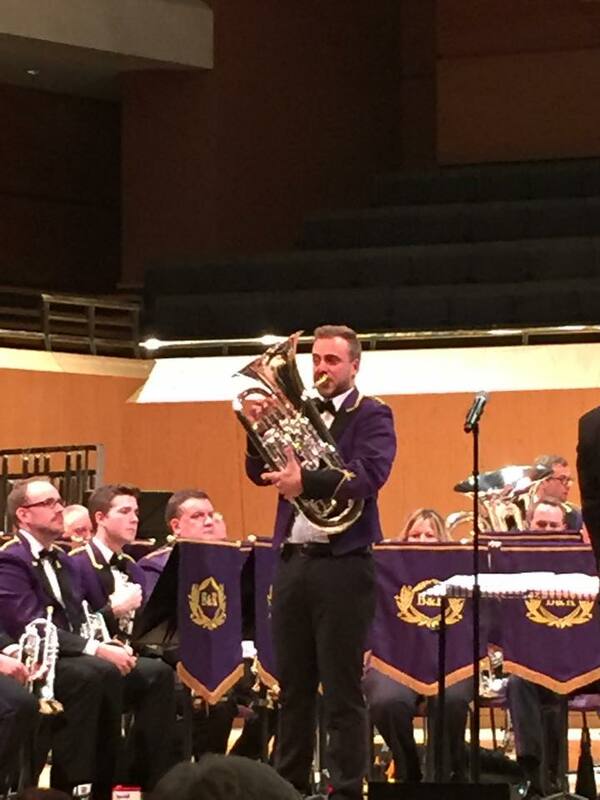 Here Glenn,alongside 9 other conductors from all over Europe has been working with Soli Brass. Off to Switzerland than for a week at the great Samedan Brass Week. 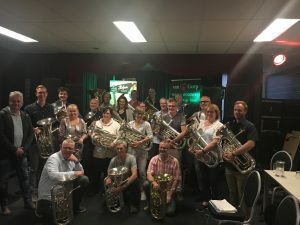 A record of 14 euphonium students from Switzerland, Portugal, Italy, Belgium and the USA attended a weeks worth of classes with Thomas Ruedi, David Childs and Glenn himself. 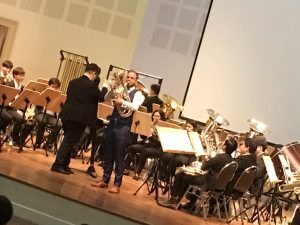 It’s worth mentioning that the winner and the runner up of the Lieksa Brass competition have been following lessons on the repertoire with these three excellent tutors. Another three summer schools to go before the finale break with family. 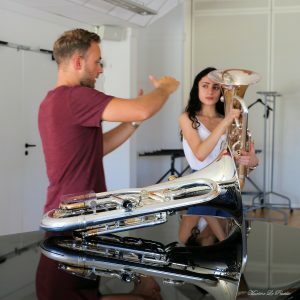 From Thailand straight to France to give two masterclasses and a short recital at the ‘Académie de cuivres et percussion de Larmor Plage’ in the Brittany region of France. 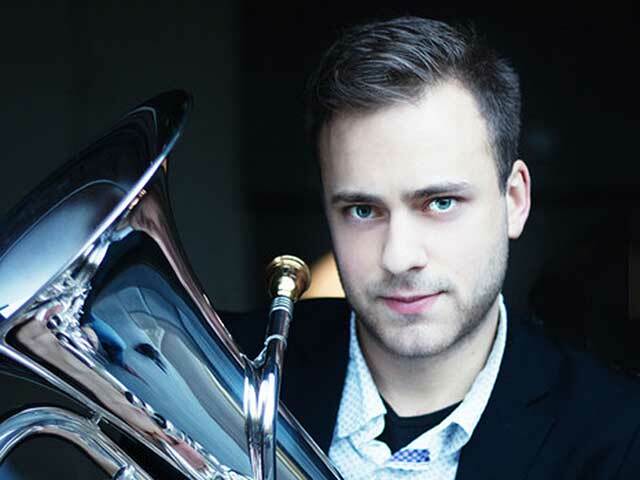 Than off to another summer school with his students in the Swiss Alps for the fanfare band ‘Ancienne Cécilia de Chermignon’ and straight on to another week in Trakai. 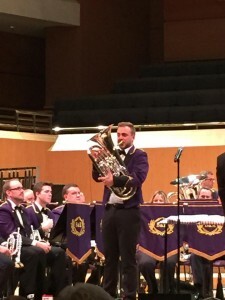 On the first weekend of October I had the wonderful opportunity to be the guest soloist at the Brasswind Festival. This annual festival is hosted by one of Norways leading bands, Manger Musikklag and was held in the very nice Logen theatre in Bergen. 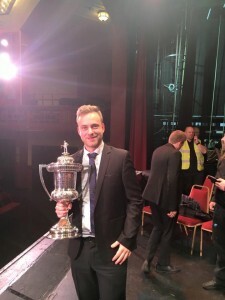 Having been asked to play a solo with the great Manger Musikklag band I chatted with young English composer, Paul McGhee. I knew the players of Manger were fans of his works so I commissioned a new Euphonium Concerto from Paul which later turned out to be a dialogue for Euphonium and Brass Band. 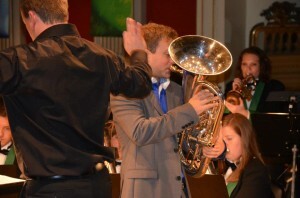 The work is extremely challanging for both soloist and band and was really appreciated by the audience. 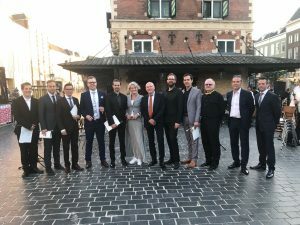 The performance of Kjeden was a world premiere and I hope there will be many other performance opportunities for this wonderful work, because it is a work that has to be heard!! 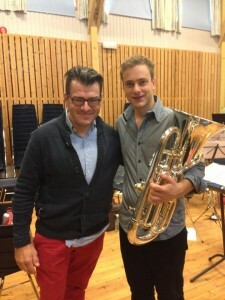 It was great to work with one of the worlds finest euphonium players Tormod Flaten, the conductor of this brilliant band. I have known Tormod for a few years now and this was a great collaboration, it is always a pleasure to work with people who I have listend to when I was young. Together with the band I played Peter Meechans Three Stories Three Worlds, it was an honour to work with the band. 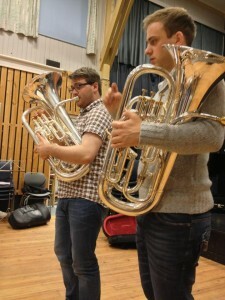 I had the chance during the week to work with the euphonium students in the school and give a masterclass for the brass band. It is great to see that Norwegian banding and music has such a bright future.